Integrated CFD environment for external and internal turbomachinery flow analysis. Dedicated CFD software system customized for marine applications. 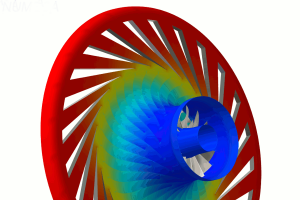 Integrated and versatile environment for multiphysics CFD. Integrated Aero & Vibro acoustics environment from fast pre-design calculation to detailed large scale analysis.